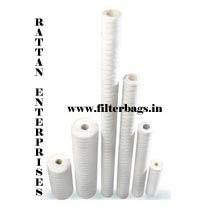 The company is renowned as the major SS Cartridge Filter Housing Manufacturer, Exporter, and Supplier in India. Our SS Cartridge Filter Housing is designed to offer wide range of fluid flow capacity and compatibility, suitable for most type of cartridge filters. This SS Cartridge Filter Housing is made up of the premium materials that impart outstanding performance. Our SS Cartridge Filter Housing is available at the market leading prices.